Dr. Wise is director of research and development for Educational Help, Inc., the parent company of Reading Success Lab. He implements and enhances the company’s software products and oversees the technical aspects of the business. Born in Cleveland, Ohio, Dr. Wise grew up both in Cleveland and New York City. He holds a bachelor’s degree in physics from Cornell University and a Ph.D. in physics from the University of Massachusetts, Amherst. Before graduate school, Dr. Wise spent three years teaching junior high science. He later left the world of physics for computer software and hardware development. He has developed software used by NASA, Kimberly Clark, and numerous other organizations. 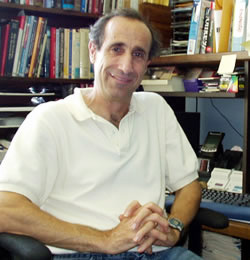 In addition, he has developed software for controlling computerized exercise equipment and analyzing human motion in addition to developing the Reading Success Lab software.